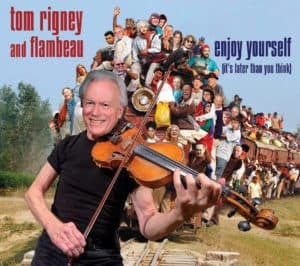 The brilliant new blues album by Tom Rigney. “A Blue Thing” is an eclectic collection of blues (and bluesy) tunes covering a wide range of styles and sounds, and featuring guest appearances by Roy Rogers, Norton Buffalo, Bob Brozman, Danny Caron, Caroline Dahl, Jerry Cortez, John R. Burr, Anthony Paule, and other great blues players. The disc includes several new original pieces and several classic tunes from the traditional blues repertoire. 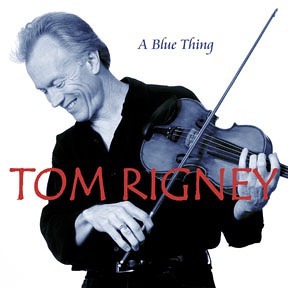 On this album, Rigney pays homage to the great blues violinists and fiddlers whose playing has inspired him over the years–“Papa” John Creach, Clarence “Gatemouth” Brown, Don “Sugarcane” Harris, Chubby Wise, and Vassar Clements–offering his own arrangements of tunes that figured prominently in the repertoires of these great players. The album ranges from hard-driving electric blues to old time country blues, from jump blues to gospel, from soulful acoustic arrangements to full-blown horn-driven swing. The thread that ties it all together is Rigney’s violin playing–passionate, inventive, melodic. He can be sweet and soulful one minute, gritty and virtuosic the next. But he always finds the appropriate sound for the tune. The interplay between Tom and the other players on the disc is exciting, spontaneous, and full of musical and tonal surprises. The killer grooves are anchored by drummers Kevin Hayes, Jimmy Sanchez, and Ian Hoffman, and bassists Steve Parks and Steve Evans. 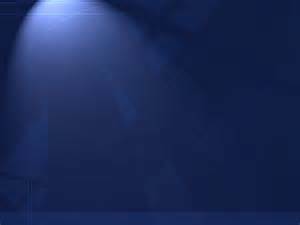 “A Blue Thing” is a thing not to be missed.